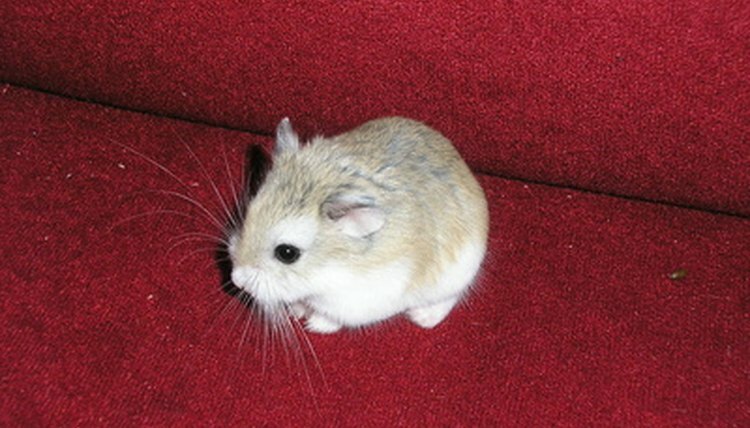 Roborovski hamsters are the smallest of the pet dwarf hamsters. These little guys are highly active and energetic. Roborovskis need to expend a lot of energy to keep them occupied during their dawn-and-dusk adventures. A wheel is ideal for burning calories as long as it's the right kind. Your little furball needs exercise, just like you and all the other pets in your household except the fish. The hamster wheel is an ideal method of providing exercise, and most hamsters genuinely enjoy it. In the wild, hamsters may roam up to five miles per night in search of food. For the domestic hamster it's a way to run and exercise within the limited confines of the habitat. Having this outlet for exercise works well for hamsters and other small animals because it's not particularly easy to take them for a walk or to let them run around outside of a hamster exercise ball. When choosing a running wheel for your Roborovski, solid wheels are best. This is true for all rodents who utilize a wheel. Solid wheels don't have the rungs that wire wheels do. Solid wheels are safer since your little guy's feet can't get trapped in the rungs. These wheels are typically made of a safe-for-hamsters plastic; some have one open side for access and one closed side, others are closed with entrance holes for your little guy to get in and out. Some wheels mount directly to the side of the cage, others are stand-alone units. This is a personal choice that may depend on the type of cage your Roborovski lives in. Because of their small size, these little guys often live in aquariums or wire cages with small openings between the wires. You may not be able to find a mount that fits properly on these types of enclosures. If you already have a wire wheel, which isn't uncommon because many hamster habitats come with them, don't fret. You can make it safer if you can't go get a solid wheel right away. Run strips of thin cardboard or paper in and out of the rungs to make a gap-free surface. This helps limits the risk of your hamster's toes, feet or legs getting trapped in the rungs. Roborovski hamsters, like other dwarfs and their larger Syrian relatives, enjoy running around their cages, burrowing and running through tunnels. Providing your little guy a large, square cage that has toilet paper rolls and small cardboard houses will give him the opportunity to exercise and hide out. Some hamster cages are connectable by plastic tubes, another good option for the zippy, adventurous Roborovski. Another exercise option: playtime in a large, plastic storage tub.